In times when gentrification has become the dominant form of urban regeneration one might believe that it is a part of the “natural development” of the city, benefiting all. Words like: “renewal”, “inclusion”, “mixed city”, “attractivity”, “sustainable urban development” all casts a mystifying veil, concealing the fact that gentrification benefits certain groups at the expense of others. In these processes aesthetics, art and culture have a crucial roll to play. This lecture explores how urban frontiers are created and how gentrification is both produced by, and is producing, a unequal city. Catharina Thörn is a researcher at the Department of Cultural Sciences at Gothenburg University. 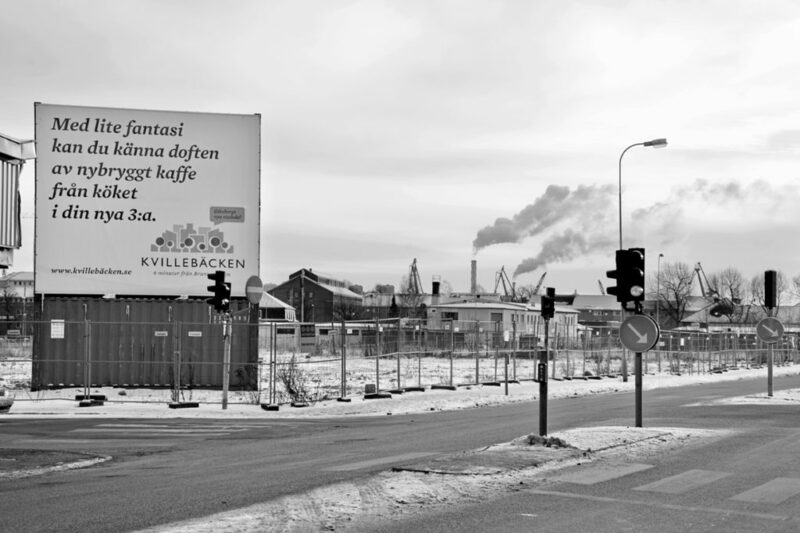 Together with the documentary photographer Katarina Despotovic she has published the book Den urbana fronten – En dokumentation av makten över staden, (The urban front – Documentation of the power over the city). Arikutetur Förlag. Catharina Thörn’s lecture is the last lecture in the first chapter of the lecture series Towards the post geographic.